I have not been offered any NHS help for my scars, but apparently there are NHS treatments available, although anecdotally they can be hard to persuade your GP to send you off for. Scar Treatment from the NHS website gives some indications of what can be done for scars. These include steroid injections, silicon gel sheets (Amazon link), surgery, pressure dressings (bit of a tip: don’t put a bandage on a fresh wound, they feel like they are burning the next day, most unpleasant.) 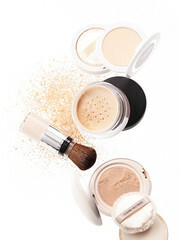 There are also medications to help break down scars and, finally, camouflage makeup. Secret Shame has a good page with information about scars and hiding them (you’ll have to navigate to “Living with SI” and it is then a little way down the page. For some reason I cannot access the actual link to the page itself. Be aware that it is an American site, and the products they mention may not be available in the UK. A British site is Self Harm.co.uk and the page I have linked to has information about treating scars. It is a good website all round actually, and aimed at young people. Embarrassing Bodies, the programme about medical conditions, has a video about the treatment of self harm scars. Please be aware that, obviously, this video shows (healed) scars on the person being treated. As well as surgical/medical advice you will notice that the sites above also mention camouflage makeup. I have used makeup to try to hide my scarring once, although as I don’t wear makeup normally I wasn’t very good at applying it! You can get camouflage makeup at Boots, and there is a charity which will teach you how to apply skim camouflage called Changing Faces although they don’t yet cover the whole of the country. I would be interested in knowing how people have got on with makeup, as the results in before and after photographs are really impressive!